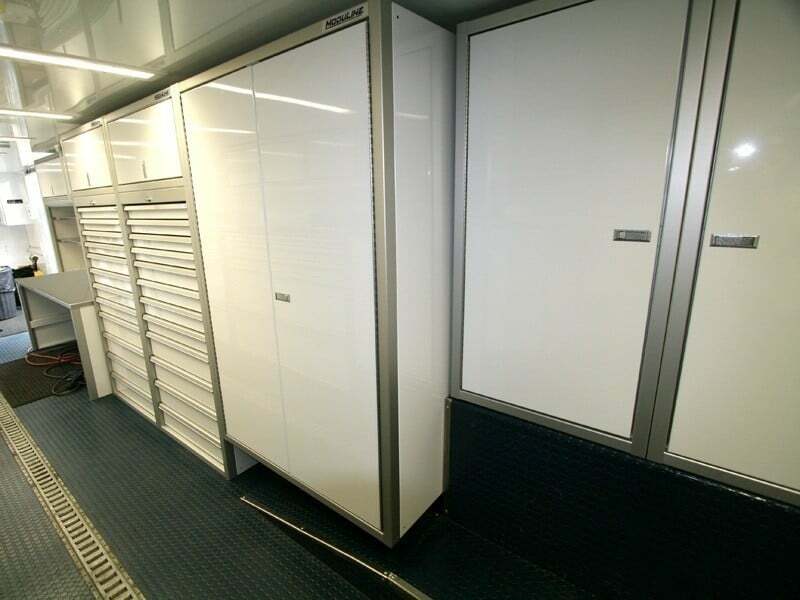 Why Use Lightweight Cabinets In Trailers? One of the questions we are asked often about trailer cabinets is: Why should we buy lightweight cabinets? 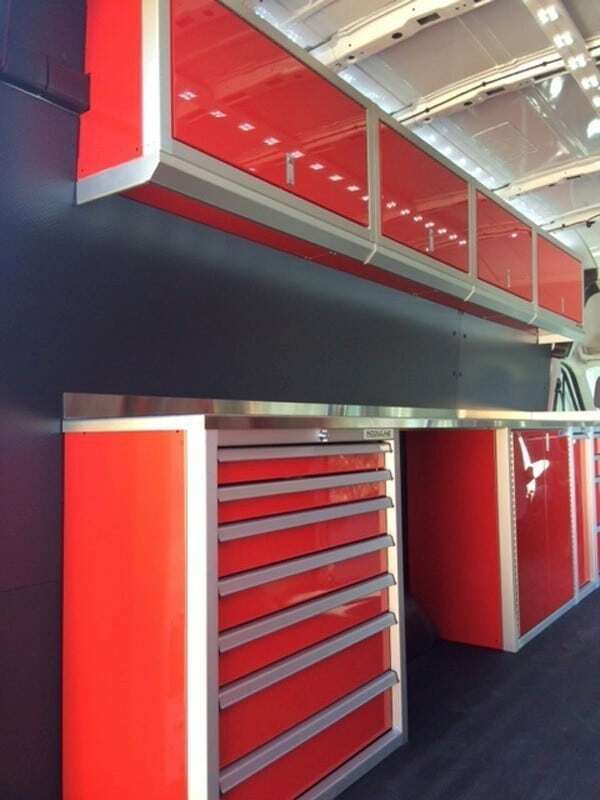 In the case that you are looking to buy cabinets for your trailer or other vehicle, you’ve probably run across the option for steel or lightweight cabinets. At Moduline Cabinets, we manufacture lightweight cabinets that are created in the USA and are built to last. We’ve answered your question in this blog post. Why Buy Lightweight Cabinets for Trailers and Other Vehicles? Steel is much heavier than aluminum. Lightweight aluminum aids in keeping less weight in the trailer. If you have too much weight, it makes it more difficult to stop when you push the brake pedal. It helps with safe towing. In addition, you also will also be able to carry more weight in your trailer and use it for what you need to pull instead of the weight of cabinets taking up that use. Not only that, but lightweight aluminum cabinet systems also allow you to have better gas mileage. If you’re not towing a heavy load, you don’t have to use as much gas. Moduline Cabinets has a variety of cabinet solutions for mobile applications. We offer fully customizable layouts and pre-configured cabinet systems. Our cabinets are able to be mixed and matched to fit your space. We offer a consultation with one of our cabinet experts to design the right layout for your mobile space. We work with you from start to finish and offer CAD drawings for ideas and layout designs to fit your needs. Moduline Cabinets manufactures our aluminum cabinets in the USA. We use high-alloy aluminum and deliver 100% satisfaction guarantee for a lifetime of use. Other cabinet materials like steel are not only heavy but are also prone to rust. Our aluminum cabinets are rust free. Wood cabinets can fall apart after a few years of use. This material is also heavy and unsafe for vehicle transportation based on the weight it adds. Our aluminum cabinets are built to last and come with a lifetime guarantee to prove it. Our cabinets are easy to install with simple tools. Many of our cabinets ship completely assembled. We include all of your assembly hardware. Some customers have had cabinets installed in as little as 2 hours, depending on their layout and space. It’s easy and the cabinets look great! Call us at 888-343-4463 to get started with a complimentary design consultation for your trailer or specialty vehicle.